Everyone within a 200m radius of the Field Street Pump Station at Narooma was evacuated. 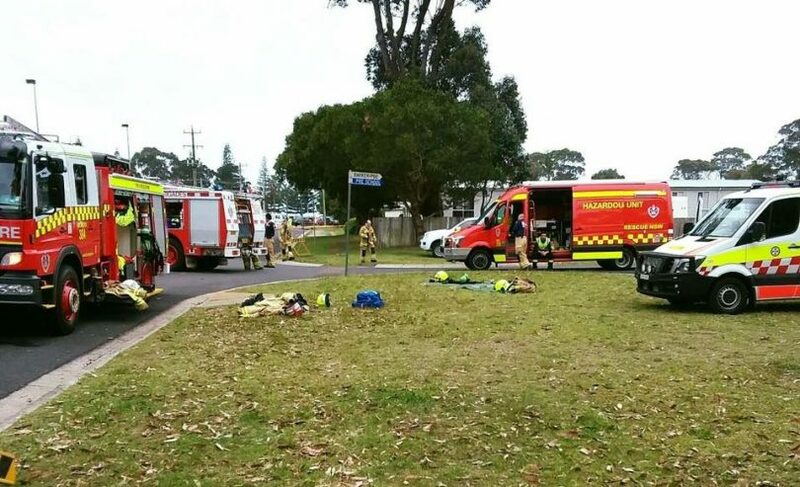 Photo: Fire & Rescue Moruya Facebook. 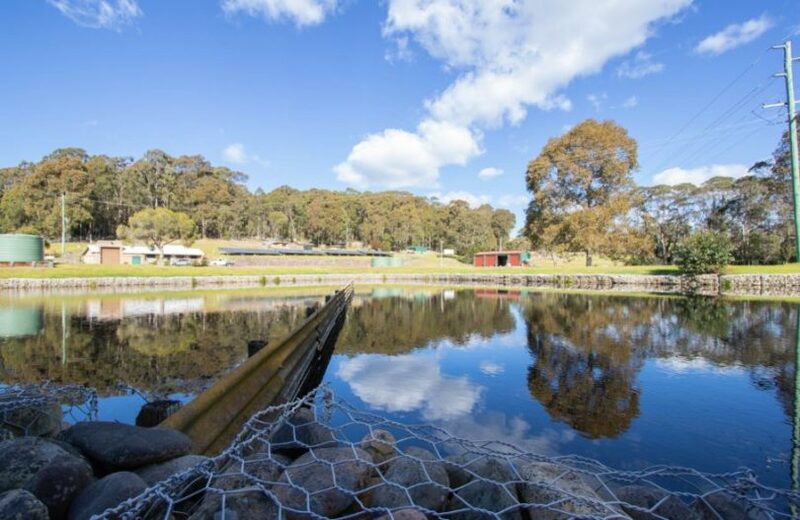 Investigators from the NSW Environmental Protection Authority and Eurobodalla Shire Council are today trying to identify the source of yesterday’s (October 15) sewer contamination at Narooma after a flammable and potentially explosive liquid was detected. Those responsible face fines of up to $4000 for individuals and $8000 for corporations under the Protection of the Environment Operations Act. Council crews were conducting a routine inspection at the pump station off Field Street when they came across a strong smell of petrol. An explosive atmosphere test followed which returned a high reading, promoting assistance from NSW Fire & Rescue. Fire crew’s from Moruya, Narooma, Bega, and Monaro responded, as did NSW Police, NSW Ambulance, and VRA Narooma. NSW Fire and Rescue Batemans Bay remained on standby. At about 2:30 pm (October 15), everyone within a 200m radius of the pump station was evacuated, including Narooma Library and the nearby child care centre. Council’s Manager of Water and Sewer Brett Corven says it appears someone had poured a significant amount of petrol directly into the sewer system, either on a private property or via a sewer manhole. “It was a significant enough amount to give a high explosive atmosphere reading,” he says. Kianga Sewage Treatment Plant. Photo: Eurobodalla Shire Council. Unfortunately, it appears the workings of the Kianga Sewage Treatment Plant have been damaged and interpreted. The Plant uses a biological process to treat sewage effluent; bugs that have been impacted by the fuel contamination. NSW Fire & Rescure Narooma responded to yesterday’s emergency as did fire crew’s from Moruya, Bega, and Monaro along with NSW Police, NSW Ambulance, and VRA Narooma. Photo: NSW Fire & Rescue Facebook. Residents can dispose of hazardous substances like petrol free of charge via Council’s annual Household Chemical Cleanout, which includes collection points at Batemans Bay, Moruya, and Narooma. This year’s Chemical Cleanout was held just last month, the next collection will be held in the second half of 2019. Large commercial operators cater to businesses looking to dispose of petrol and other hazardous substances. “Pouring hazardous chemicals such as petrol down the drain or into the sewage network has the potential to cause serious physical injury, contaminate our treatment process and potentially contaminate land and drinking water supplies,” Council’s spokesperson says. “In this instance, our water and sewer staff were put at risk. The sewer system is a confined space and the explosive atmosphere reading was dangerously high. The system was ventilated and the area declared safe just after 4 pm yesterday, some fumes remain within the affected pump station today (October 16). Ventilation is continuing and Council staff will continue to monitor the levels until the fuel vapours clear.